As I was doing a late season nursery trip last week I came across Rudbeckia laciniata ‘Una Belle’ which took me by complete surprise. The sheer height and scale of this perennial make it stand out. 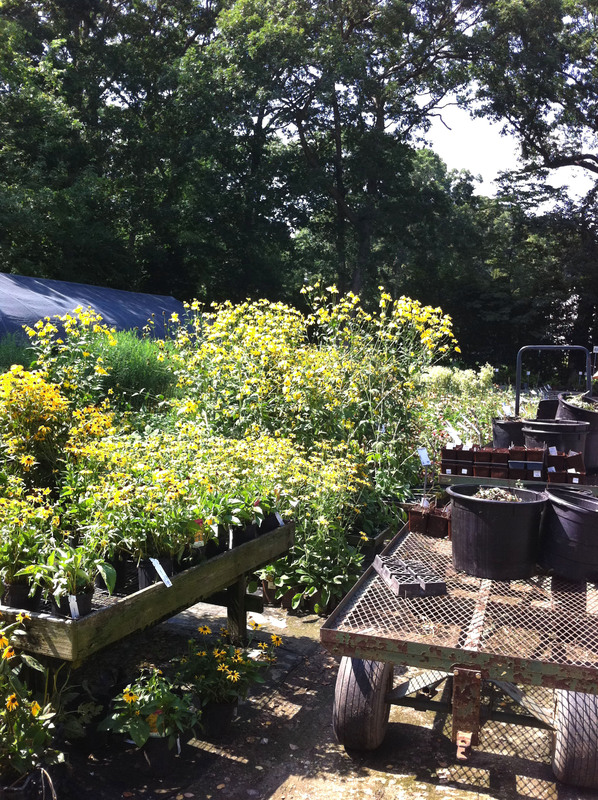 We tend to use Rudbeckia as a low maintenance fail-proof perennial that gives a golden punch of color in mid to late summer, but this cultivar of the Asteraceae family adds height to the garden as it grows up to 6′ tall. Rudbeckia laciniata, commonly referred to as Cutleaf Coneflower (not to be confused with Echinacea) is hardy to USDA zone 3. It is covered with golden-yellow flowers typical of a Black-eyed Susan in late summer to early fall. It prefers a sunny and well-drained location in the garden. Can you imagine a huge patch of this surrounded by mounds of ornamental grasses? This plant can absolutely revitalize your garden in late summer when everything else is looking a little crispy and faded. Think big scale with this one. It isn’t a plant for the small container garden.